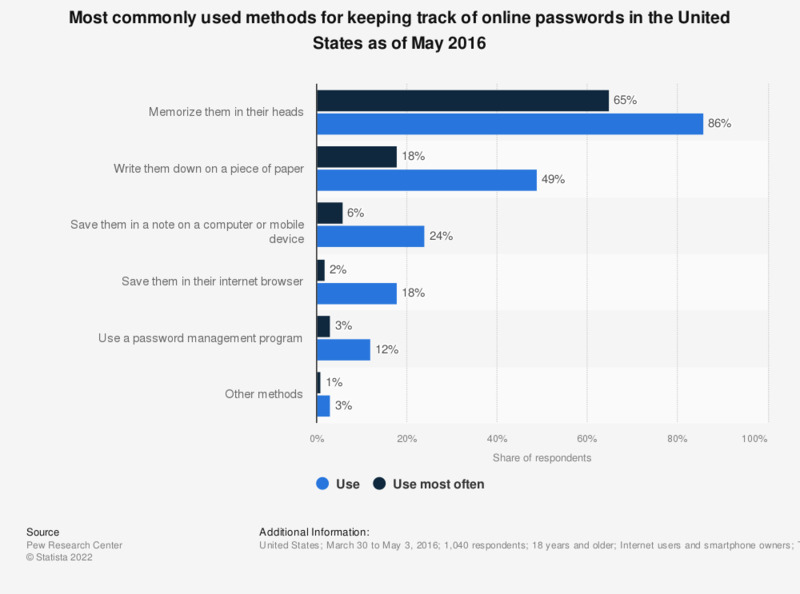 This statistic shows the methods of online password tracking most common utilized in the United States as of May 2016. During the survey period, 86 percent of respondents stated that they stored their online passwords by memorizing them in their heads. Results for “use most often” category include those who use only one technique to manage their passwords.